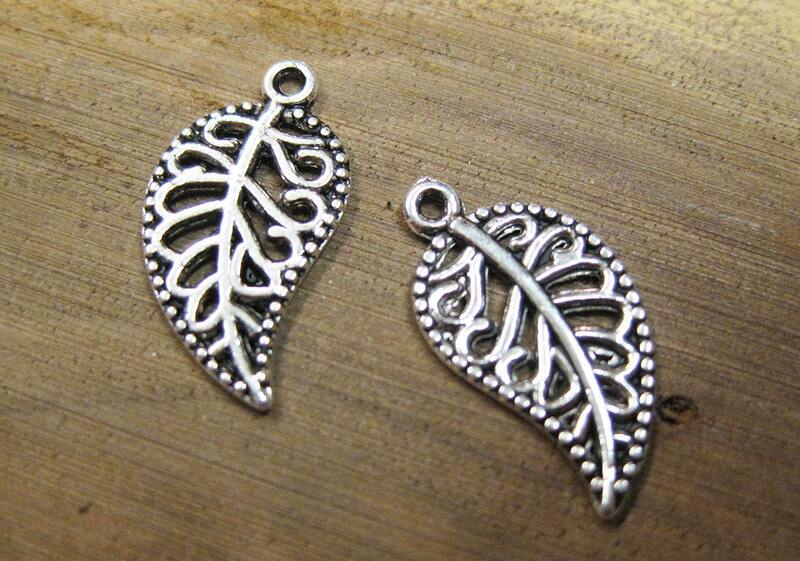 10 antique silver delicate filigree curved leaf charms. 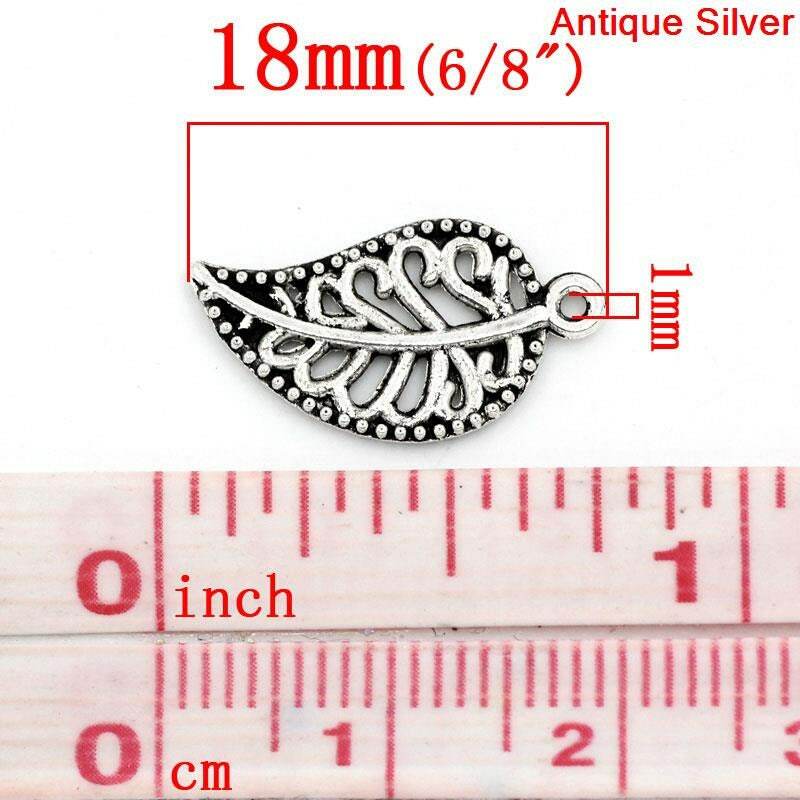 These charms are double sided and measure 18mm x 10mm. 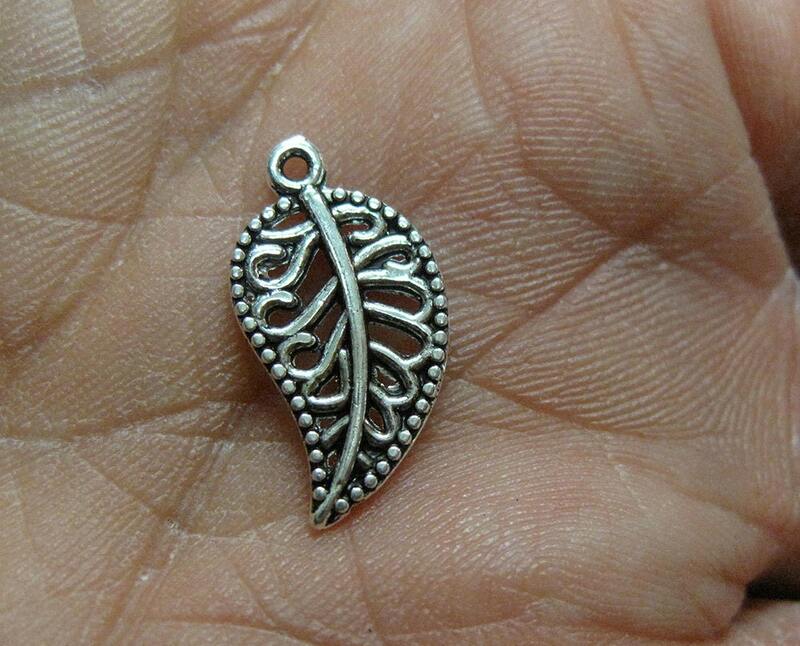 Perfect for nature or forest themed jewelry, with a vintage style! Zinc metal alloy, lead & nickel safe, cadmium safe. 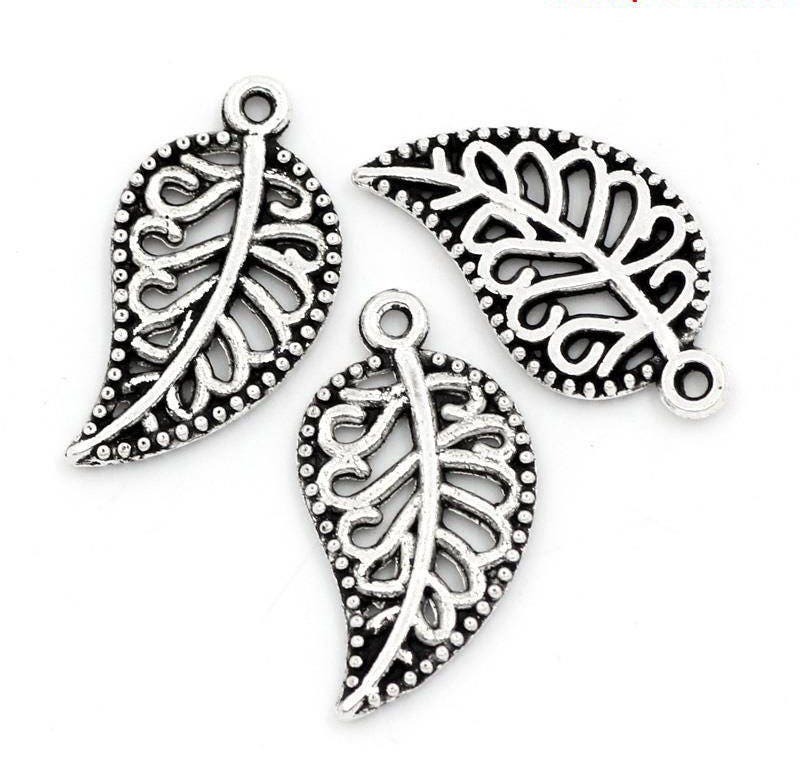 Very pretty - a great addition to the bracelets I am creating!